Ashen burg, Katherine. Mourner’s Dance: What We Do When People Die. New York, NY: North Point Press, 2003. Ellis, T. M. (2006). This Thing Called Grief : New Understandings of Loss. Minneapolis: Syren Book Co.
Fairview Press. Holiday Hope: Remembering Loved Ones during Special Times of the Year. Minneapolis, MN: The Press, 1998. Keogh, Martin J. As Much Time as it Takes: a Guide for the Bereaved, their Family, and Friends. Charlottesville, VA: Hampton Roads Pub. Co, 2005. Keble-Ross, Elisabeth, and David Kessler. On Grief and Grieving: Finding the Meaning of Grief through the Five Stages of Loss. New York, NY: Scribner, 2005. McCormack, Jericho Hull. Grieving: A Beginner's Guide. Brewster, MA: Parakeet Press, 2006. Manton, Theodore. After Goodbye: How to Begin Again After the Death of someone You Love. Philadelphia, PA: Running Press, 1994. Moody, Raymond A. Life after Loss: Conquering Grief and Finding Hope. San Francisco, CA: HarperSanFrancisco, 2001. Obershaw, Richard J. Cry Until You Laugh: Comforting Guidance for Coping with Grief. Edina, MN: Beaver's Pon Press, 2005. Neeld, Elizabeth Harper. Seven Choices: Finding Daylight After Loss Shatters Your World. New York, NY: Warner Books, 2003. Remen, Rachel Naomi. My Grandfather's Blessings: Stories of Strength, Refuge, and Belonging. New York, NY: Riverhead Books, 2000. Shaw, Eva. What to do when a Loved One Dies: A Practical and Compassionate Guide to Dealing with Death on Life's Terms. 2nd ed. Carlsbad, Calif: Writeriffic Publishing Group: Distributed to the trade by Independent Publishers Group, 2005. Smith, Harold Ivan. A Decembered Grief: Living with Loss while Others are Celebrating. Kansas City, MO: Beacon Hill Press of Kansas City, 1999. Weshorns, John E. Awakening from Grief: Finding the Way Back to Joy. Makawao, HI: Inner Ocean, 2003. Wolfelt, Alan D. Healing Your Grieving Heart: 100 Practical Ideas. Fort Collins, CO: Companion Press, 2001. Barkin, Carol, and Ellen Mitchell. Beyond Tears: Living After Losing a Child. New York, NY: St. Martin's Griffin, 2005. Bernstein, Judith R. When the Bough Breaks: Forever after the Death of a Son or Daughter. Kansas City, MO: Andrews and McMeel, 1997. Dionne, A. Every Step of the Way : How Four Mothers Coped with Child Loss. Baltimore, Md: Publish America, 2006. Mathes, Charlotte. And a Sword Shall Pierce Your Heart: Moving from Despair to Meaning After the Death of a Child. 1st ed. Wilmette, IL: Chiron Publications, 2006. Miller, J. R. Heartfelt : A companion for bereaved parents. Fort Bragg, CA: Cypress House, 2006. McCracken, Anne; Semel, Mary. Broken Heart Still Beats: After Your Child Dies. Center City, MN: Hazelden, 1998. Rothman, Juliet Cassuto. 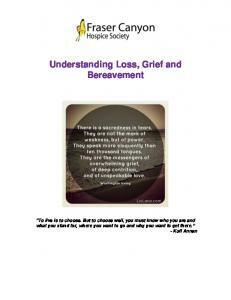 Bereaved Parents’ Survival Guide. New York, NY: Continuum, 1997. Marx, Robert J. Facing the Ultimate Loss: Coping with the Death of a Child. Fredonia WS: Champion Press, 2003. Gaber, Ron R. Death of Adult Children through the Eyes of Grieving Parents. Kirksville, MO: Kirksville College of Osteopathic Medicine, 1999. Boone, Peggy Y. Our Walk with Elephants: Surviving the Death of Adult Children. Baltimore, MD: PublishAmerica, 2003. Edelman, H. Motherless Daughters : The Legacy of Loss (2nd ed., 1st Da Capo Press ed.). Cambridge, MA: Da Capo Press. 2006. Levy, Alexander. Orphaned Adult: Understanding and Coping with Grief and Change after the Death of Our Parents. Reading, MA: Perseus Books, 1999. Bartocci, Barbara. Nobody’s Child Anymore: Grieving, Caring and Comforting When Parents Die. Notre Dame, IN: Sorin Books, 2000. DeVita, Elizabeth. Empty Room: Surviving the Loss of a Brother or Sister at Any Age. New York, NY: Scribner, 2004. Wray, T. J. Surviving the Death of a Sibling: Living through Grief When an Adult Brother or Sister Dies. New York, NY: Three Rivers Press, 2003. Dunnan, Nancy. Widow's Financial Survival Guide: Handling Money Matters on Your Own. New York, NY: Perigee, 2003. Felber, Martha. Finding Your Way after Your Spouse Dies. Notre Dame, IN: Ave Maria Press, 2000. Latko, David W. Financial Strategies for Today's Widow: Coping with the Economic Challenges of Losing a Spouse. New York, NY: Simon and Schuster, 2003. Lintermans, Gloria, and Marilyn Stolzman. The Healing Power of Grief: The Journey through Loss to Life and Laughter. Belgium, WI: Champion Press, c2006, 2006. Murphy, Sylvia. Surviving Your Partner: Living with the Death of the Person Closest to You. 2nd ed. Exmouth: S.A. Greenland, 2005. Silverman, Phyillis R.; Campbell, Scott D. Widower: When Men are Left Alone. Amityville, NY: Baywood Pub. Co., 1996. Trusy, Shanon; Corkern, Barry M. Widowed: Beginning Again Personally and Financially. Little Rock, AR: August House Publishers, 1999. Wolfelt, Alan D. Healing a Spouse's Grieving Heart: 100 Practical Ideas After Your Husband Or Wife Dies. Fort Collins, CO: Lancaster: Companion; Gazelle, 2003. Feinberg, Linda Sones. I'm Grieving as Fast as I Can: How Young Widows and Widowers Can Cope and Heal. Far Hills, NJ: New Horizon Press, 1999. Young, Gary; Young, Kathy. Loss and Found: How We Survived the Loss of a Young Spouse. Ashcroft B.C. : Calabash Press, 2002. Grief Zone www.americanhospice.org/griefzone/ Provided by the American Hospice Foundation this site has information about caregiving at the end of life and an extensive section on grief that focuses on the newly bereaved. An Internet community of people working through loss and grief issues of many kinds. In includes 47 e-mail support groups, memorials and resources for specific circumstances of loss. This national organization assists families grieving the loss of a child on any age. 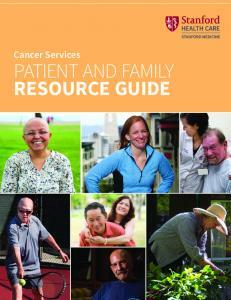 Report "Grief and Bereavement Patient Education Resource Center (PERC) Information Guide"